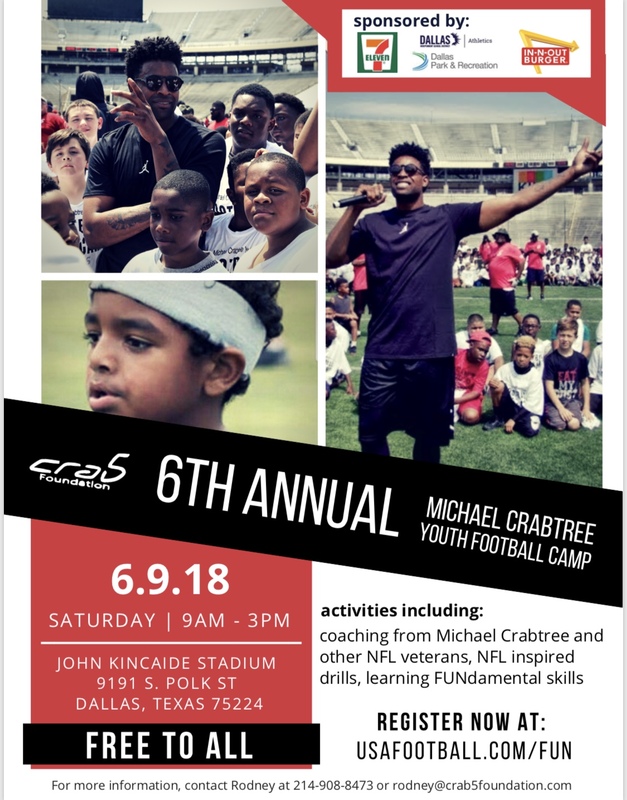 Join NFL Star Michael Crabtree and friends for the 6th Annual Michael Crabtree Youth Football Camp happening on Saturday, June 9, 2018, from 9 AM – 3 PM at John Kincaide Stadium in Dallas. 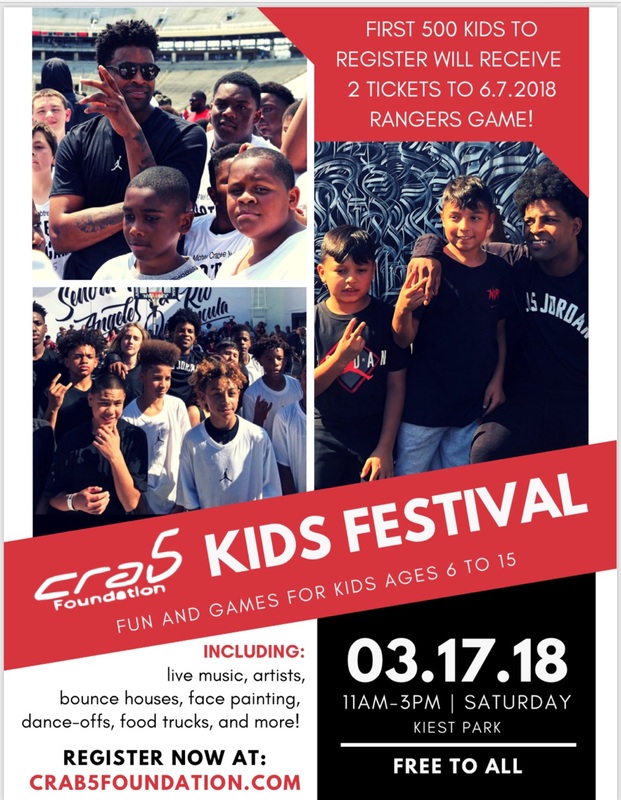 Activities will include coaching from Michael Crabtree and other NFL veterans you know and love. 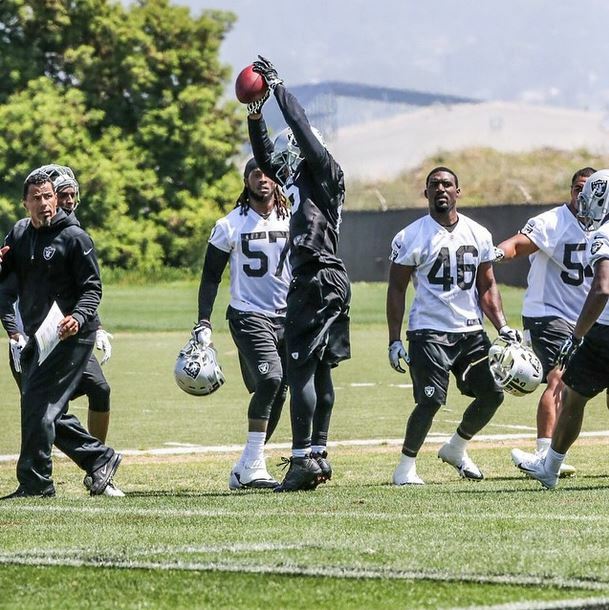 Learn NFL inspired drills and FUNdamental skills that will help take your game to the next level. Don’t miss out!